The New Jersey District Report of Transported Resident Students (DRTRS) has changed again this year. To accommodate the changes made by the state, changes to BusBoss were necessary. A new school type has been added, “Early Childhood Community Provider”. To "allow" BusBoss to use this new school type, perform the following. 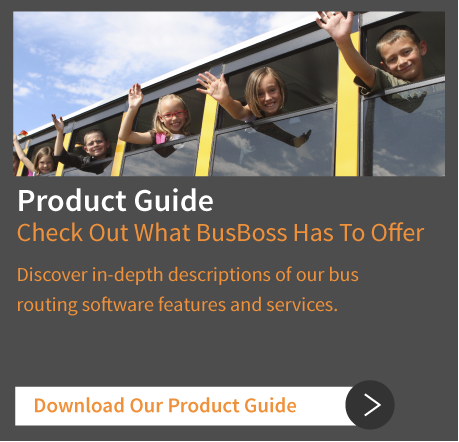 Log in to BusBoss as you normally do. Click "Edit", and then click "Look up Tables"
Click the "School Types" from the list on the left side of the window. You will be presented with a list of school types in the system. This list is completely editable. For our New Jersey customers, you should only modify this list when instructed to do so by us (Orbit Software), or the New Jersey State Office of Student Transportation. The School Type Codes are transmitted to the state during the DRTRS process, and should NOT deviate from the following list. Click the "Add" button at the top of the window. Type "5" for the CODE. Type "Early Childhood Comm. Provider" for the DESCRIPTION. Note: This field only stores 30 characters and "Early Childhood Community Provider" is 34 characters. Therefore, you will need to shorten the description. Since CODES are transmitted to the state, the abbreviated description has no effect on the DRTRS. A new Route Id has been added for "CHOICE" students. This new Route Id is used for students that attend a CHOICE school, but receive aid instead of transportation. BusBoss has a selection for CHOICE on the student screen, similarly to the AIL, CSPP and CCC. Student Has IEP Election requirements. This new field is “Student Has IEP”. According to the state, every student that has a grade of S1 or S2 must have an IEP. Students with other grades (PK-12) cannot have an IEP. When BusBoss is preparing the DRTRS report data, any student with a grade of S1 or S2 will be marked with a "yes" in the "Student Has IEP" question, otherwise, "no" will be entered. BusBoss stores the date of birth already. We will add checks to make sure this in BusBoss stores the date of birth already. Checks have been added to make sure this information exists for all students. 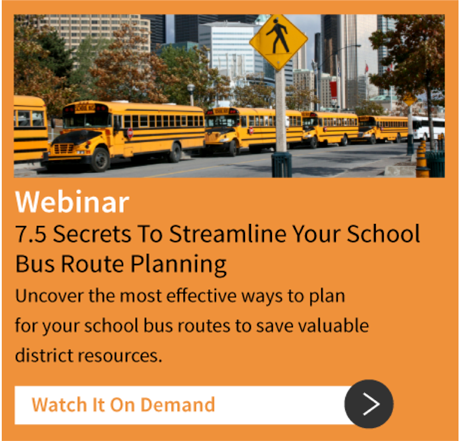 Route Cost is required for all routes, including district owned. BusBoss has checks to make sure all routes have a route cost.